Relax – Your emotions will show in your pictures and to your guests. Relax and enjoy your day! Hire a professional wedding coordinator. Put the pressure and stress on a professional who understands the inner workings of a wedding. Their role is to take the burden of coordination off you and/or a family member or friend. Hire a professional wedding photographer and ensure you get along well with your photographer. You will spend many hours with them on your wedding day. The expertise of a professional helps reduce the stress of the day. Reception – special songs by a guest or two. If you have family members who can sing (especially young family members), their singing a song to the bride and groom always brings tears and laughter to the guests. I will never forget when my granddaughter sang L.O.V.E. to her aunt (bride) during my youngest daughter’s wedding reception. 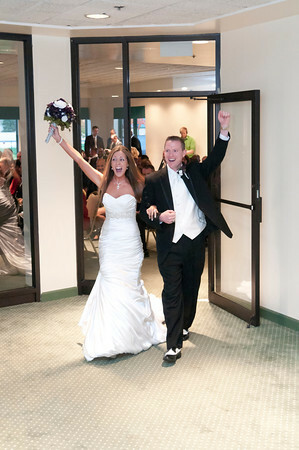 Tears of joy flowed throughout the reception hall. Honor others during the reception. If there is a guest that has a significant anniversary or birthday, dedicate a dance to them. It always brings tears to my eyes when the bride and groom dedicate a dance to family members with 30, 40, 50, 60+ years of marriage. I always cry when the couple brings a cake to a (great) grandparent for their birthday. Plan on the variable and ensure there is enough time for stuff to happen. Please understand delays happen during the day. Traffic delays cause bridal party members to arrive late and/or cause delays between the ceremony and reception hall. Provide maps and directions for your guests. Although many folks have GPS devices in their cars, smart phones, etc., a printed map is always handy. I doubt that I will ever forget the time I was in an area with very limited GPS coverage and how valuable the printed map proved to be for the guests. Emergency Kit – A small kit with needle, thread, pins, handy wipes, mints, etc for those emergency situations that seem to appear at the craziest time during a wedding. Eat – Yes, many brides and bridesmaids refrain from eating but remember the day is long and the opportunity to eat is limited. I always suggest keeping an energy or fruit bar in the ‘emergency kit’. Although chocolate is enjoyable, it might not look great if it melts on a dress or is in your teeth for pictures. Relax and enjoy your special day! Permit others to help and honor you during your day! Keep in mind that the most important tip is to have fun, relax, and enjoy your day!